Jefferson County Pet Food Pantry : CANCELED!! 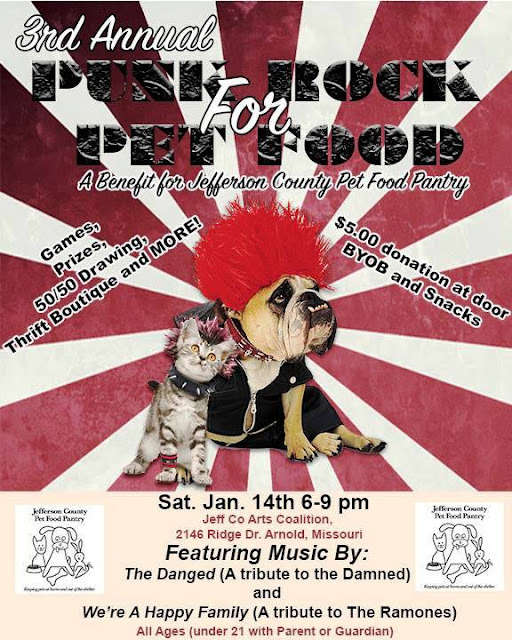 Punk Rock For Pet Food Benefit Sat. 1/14!! CANCELED!! Punk Rock For Pet Food Benefit Sat. 1/14!! Due to the ice storm, we have canceled Punk Rock For Pet Food this Saturday. We will reschedule for spring/summer. Thanks for your support!